Hello Malaysia! 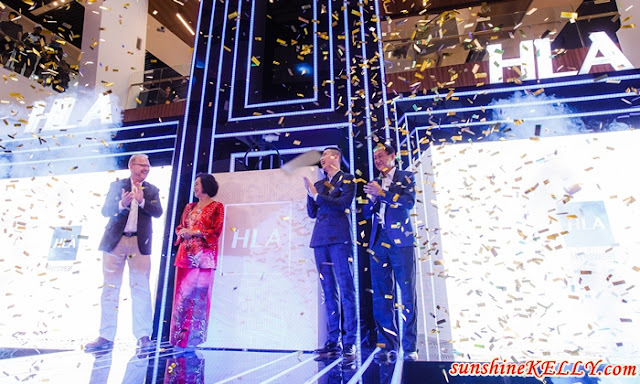 Finally HLA the international menswear fashion is now in Malaysia with the grand opening of their first flagship store at MyTOWN Shopping Centre, Kuala Lumpur. And this is also HLA’s first international venture. I am sure some of you would like to know what is HLA means. Actually HLA stands for High Quality, Live and Affordable. Let’s check it out! HLA was officially launched in Malaysia on 15th July 2017 at MyTOWN Shopping Centre by HLA’s President, Mr Louis Zhou together with YBhg. Dato’ Chong Yoke Har, Deputy Director General (Planning), Ministry of Tourism and Culture, Malaysia; Mr. Joakim Hogsander, General Manager of MyTOWN Shopping Centre; and Mr. Law Boon Eng, Alternate to Chairman of Malaysia Retailers Association. It was a fun and exciting launch event, apart from the fashion we were also entertained by a special performance from Gary Chaw, our very own superstar, Malaysian-born, Taiwan based singer-songwriter. He is the winner of the 19th Golden Melody Awards for Best Male Mandarin Artist, Gary is famous for his stage presence, wide vocal range and amazing style. Plus there were also members of the media and stakeholders from China as well. Now let’s check out the store! 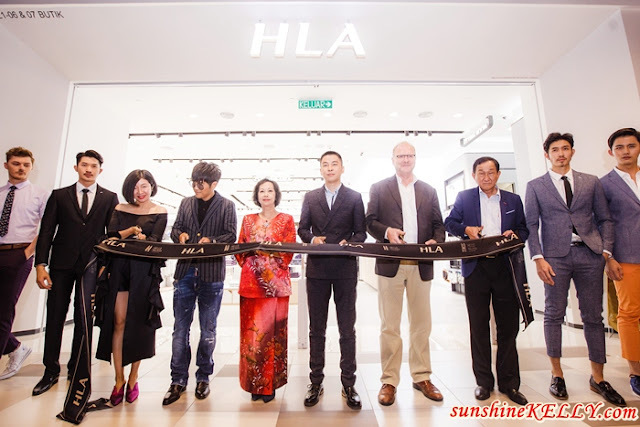 HLA store is located on Level 1 of MyTOWN Shopping Centre and spreads across 3,423 square feet offering a wide variety of the latest affordable fashion trends without compromising quality, design and style. Be it for work or play, HLA has extensive and appropriate pieces for every occasion and well suited to our tropical weather. You’ll be sure to find something that you like and look good in it. HLA will make its Malaysian debut with their Spring/Summer 2017 collection. On the racks are sleek and lightweight casual selections matched with vibrant and confident colours from casual to formal. The most versatile piece in a man’s wardrobe this season at HLA is the suit and the brand’s variety of offerings bring texture, flattering silhouette and colour in an impressive combo that modernizes tailoring traditions. I spotted a bomber jacket, a few t-shirts and shirts that suit my style. Hey who say women can’t pull off with menswear. Overall at HLA MyTOWN you can find a range of fashion and accessories both casual and formal wear for men including shoes. And the material and also quality, the clothes look suave on men. Prices start from RM39.90 for a t-shirt. Hey, really nice men's store! Wouldve loved to visit to get presents for the bf. HLA MYTOWN, another whole new international brand try to get in Malaysia market. They even invited gary as their guess in launcg event ,marketing strategy.I think the next branch will be very soon. No more excuses for those men to not dress up themselves properly. I will check them out too when I visit MyTown. Tak pernah masuk My Town lagi. I should ask my fiancé to check this store out! Plenty of trendy pieces - judging by the store name they should be pretty affordable too! Omg Gary Chaw!! I should visit here sometimes It's nice to see a nice man wear shop in Malaysia finally. This sounds like a fun event! I really like these collection of menswear especially their casual wear. oooo...i got a new spot to shot for boyfie d....weeee..thanks kelly! I've not been to MyTOWN yet because it is so new. Want to go shopping la! I hope can be easily accessible via public transport. OMG Gary was there!! Always love his performance, looks like a really happening launching with performance. Their menswear looks really nice and elegant too.